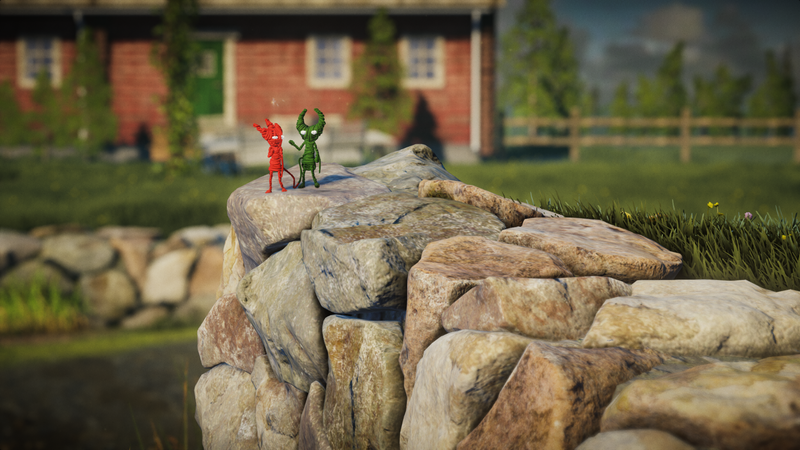 Unravel is one of those games that is close to my heart. I played it two years ago (Unravel released 2016) and it was rather good. A lot to be improved; Unravel Two fixes all those problems. The game is made by an indie Swedish developer Coldwood Interactive. I tried to find more info about the developer, but their official page has been shut down stating ‘We’ll be back when we take a break from making games’ meaning there isn’t going to be Unravel Three any time soon. With Unravel Two I thought I have to play online with some random player since the game is to be played with two separate characters. I quickly found out it can be played solo—everything needing to be done with a double work, though. 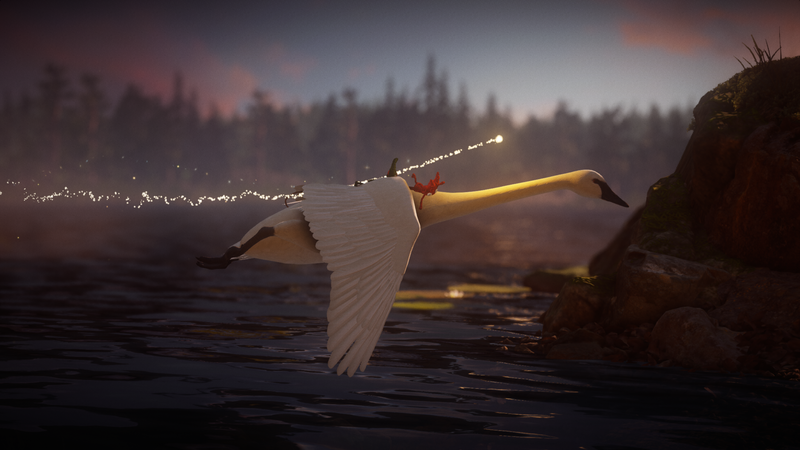 When I started the game it soothed me right away with beautiful and peaceful nature of Scandinavian countries, and as Unravel seems to taking place in Sweden, so does Unravel Two. 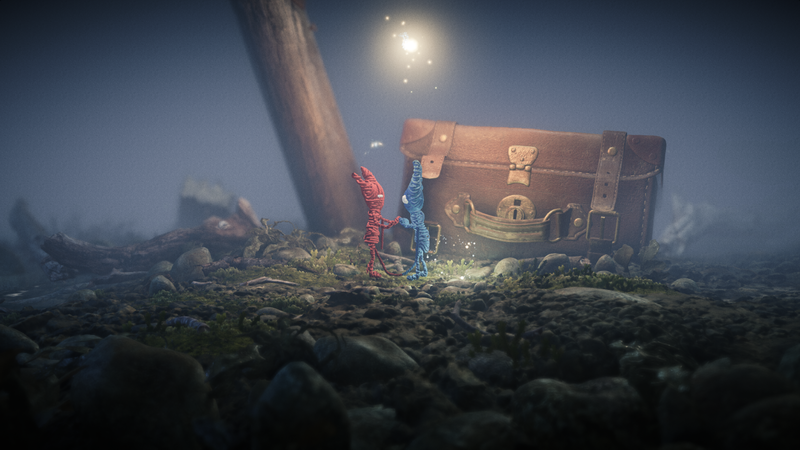 Unravel Two speaks the story without any words or subtitles. That is difficult to execute because all the details visually has to be perfect to deliver the message you’re intented to say. Unravel Two tells of two clews, Yarnys, shape of a human–like creatures, that are attached to each other by yarn, and their journey through numerous places. It’s story of surviving and hope; as you play, you’ll see shadows of two young boys who goes through an adventure and you are part of it. Moving these two ravels is absolutely great. I, in other hand, was still raveled to the controls of the first game. 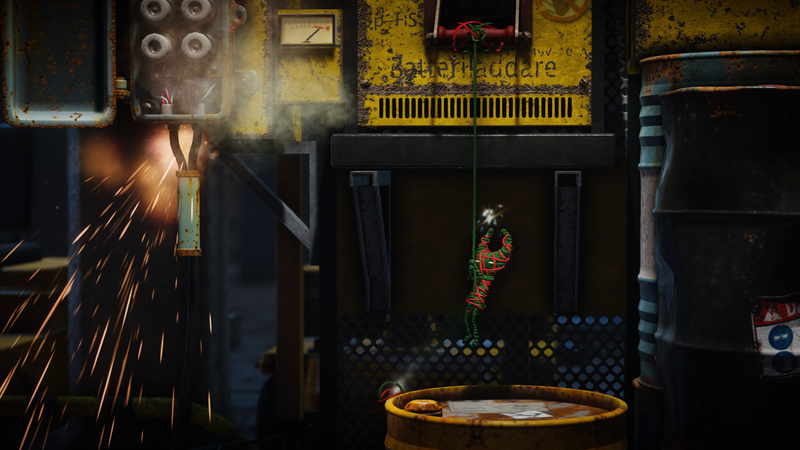 In the first Unravel —game player had to collect yarn and do bunch of other stuff that was still fresh in my mind. 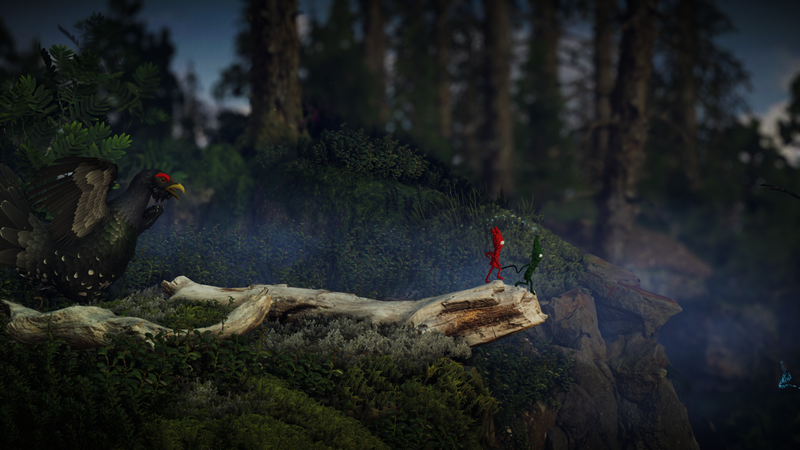 With Unravel Two, player doesn’t have to collect yarn or do some little tricks anymore. Controls has been simplified and inserted with new ones. Player can now climb up the moss and jump up between two walls like a Super Mario and use slow–motion if things get too tough. To move two characters, player can choose which one to move and merge them together, as one. Somehow it took me a while to get really into the gameplay. I always forgot that I had two characters to use. Puzzles became easier—actually—as I went on because I got used to the pattern and how to use both characters in every situation. Gameplay is rather easy going since you can only move sideways but it can get very busy sometimes. Yarnys also have little tweaks they can do, such as choose their colour, eye shape and the shape of their headpiece. I almost forgot to mention they have four little expressions they can make. Finnish and Swedish nature is very much alike. I’m Finnish and I’m used to this kind of nature that Unravel and Unravel Two has, and I have came to a realization that our nature is beautiful. I always thought our nature is boring and very ‘old fashioned’ due to the tacky paintings every older Finnish person has in their home. They are so, ugh. Tried to find picture of it online with no avail. Beautiful cowberries, pine trees, lakes, little animals and red cottages. It’s relaxing. Visually beautiful with great art style. Photo-mode was not presented, but it would’ve been nice touch. I like the background music and effects and their harmony together; it wasn’t like ABBA or anything, so don’t worry. But there was technical issues all the time with the sound. The effect sound coming too late or background music suddenly stops—there is awkwardly long silence when someone turns the cassette to B-side—and music starts from the top. 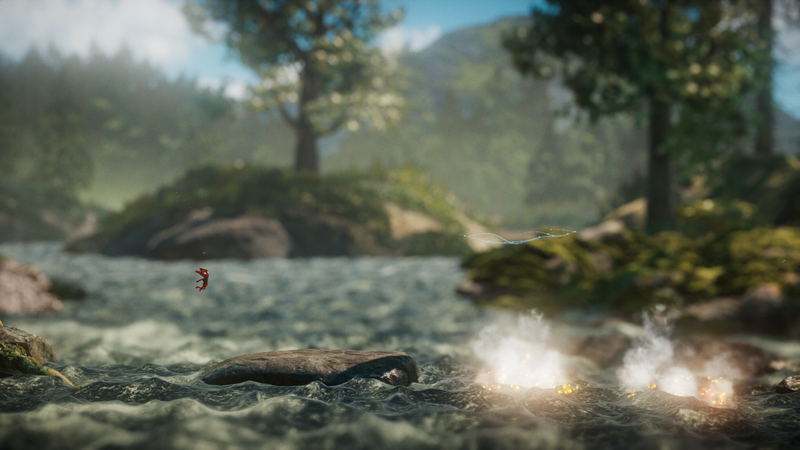 Unravel Two was not overly difficult. It mixes puzzles and sideways platforming nicely. Player can have hints or slow–motion if they get stuck at some place. I must say Unravel was more difficult than this one (I remember of having difficulties with many things with it.) Yet again, the difficulty lies in completing Unravel two 100%. I checked some of the requirements and I was gagged; ‘finish level without dying once’. o.0 this face tells everything you want to know my thoughts about it. I will play Unravel Two again someday soon. It simply got my mood up. I like all the macro filming things and Unravel Two feels just like that. It’s like lying on the soft moss amongst the cowberry growth everywhere and macrofilming these little creatures and their adventure. It’s such a shame that Coldwood won’t be making games for unknown amount of time. Maybe they wanna make something different? Maybe they are walking in the Swedish nature having inspiration to new ideas?